It's never too late to begin again. On the latest episode of "Work It," career communications strategist Katie Fogarty shares advice for rebooting your career, including how to close the confidence gap when you're re-entering the workforce and why you should be networking from a place of generosity. And on All the Social Ladies this week, Andrea Brimmer, CMO of Ally Financial, chats about learning how to give yourself confidence and being your own support system. Risk-taking isn't a skill, it's a constant choice we make. How 4 young women financially support their whole families. How to mentor someone who doesn't know what their career goals should be. What companies get right (and wrong) about women and the workplace. How to take maternity leave when you're a freelancer. 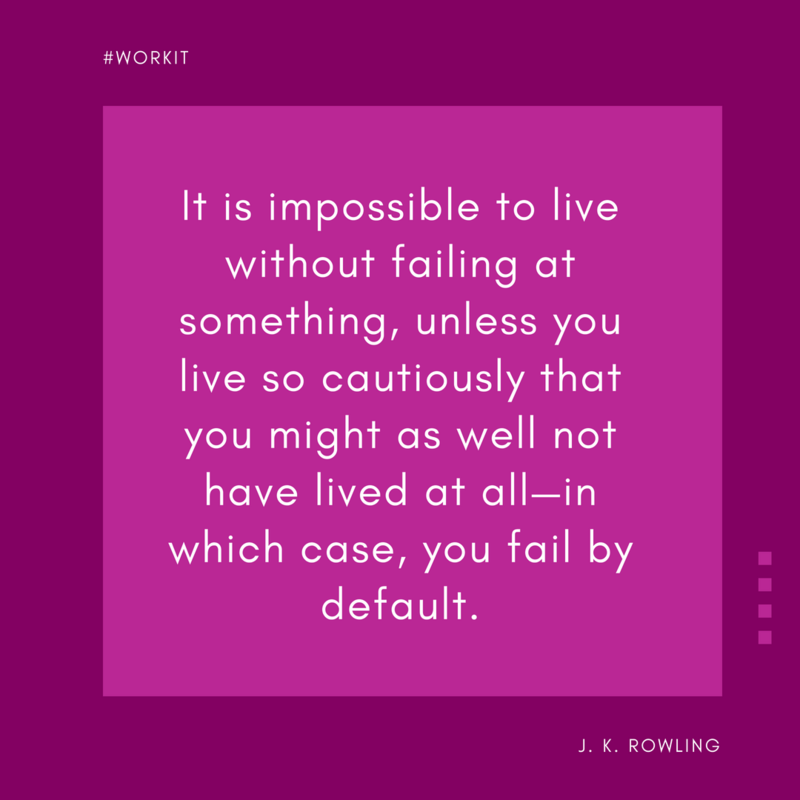 Don't be afraid of failure—embrace it. Work It forward by sharing this email with an awesome lady in your life.